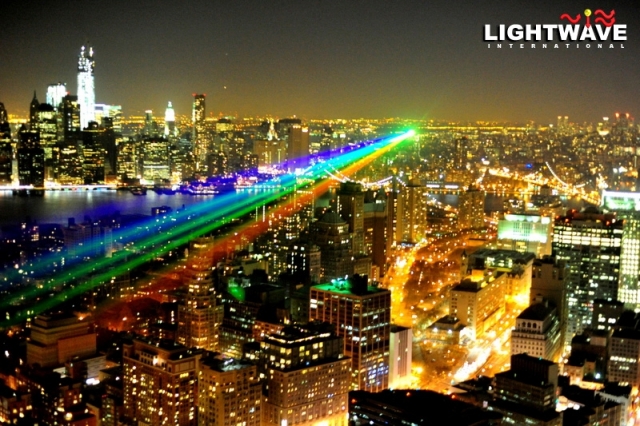 The skies of New York City were lit up November 27th through November 29th in 2012 with vibrant shafts of laser light viewable to millions of New Yorkers. 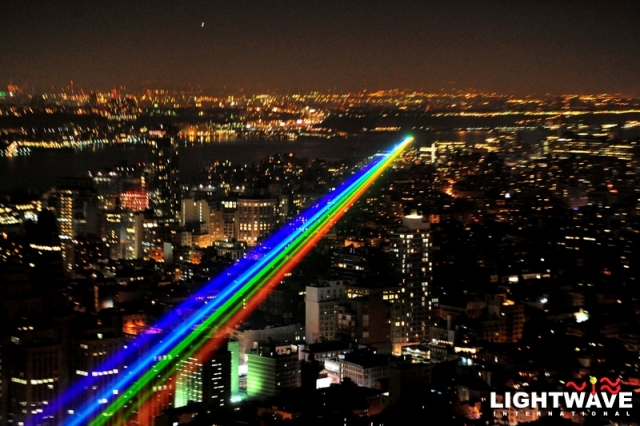 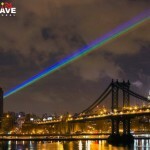 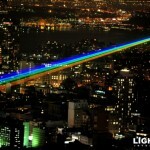 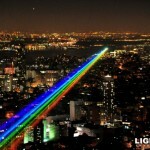 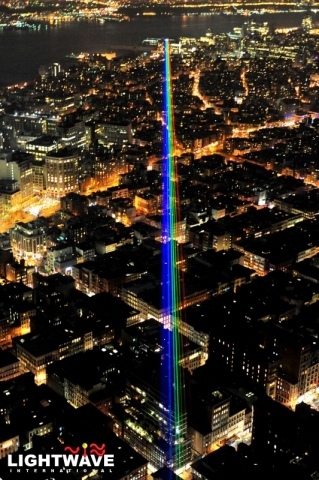 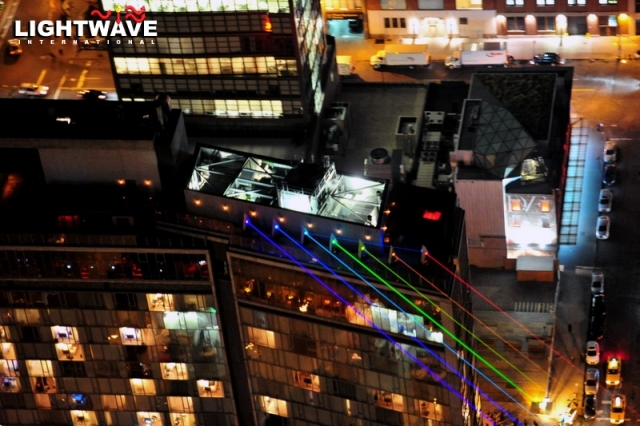 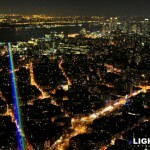 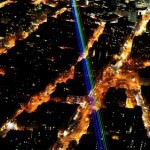 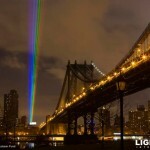 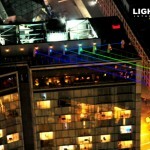 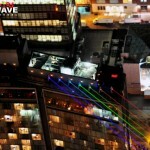 Artist Yvette Mattern brought her "Global Rainbow, After the Storm" work to the city, powered by lasers from Lightwave International. 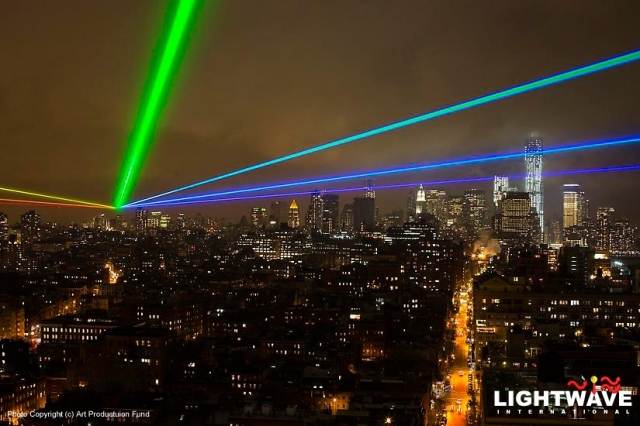 Organized in response to Hurricane Sandy, seven beams of high power laser light were projected over communities hit hard by the storm, originating on Manhattan's lower west side and spanning across Brooklyn toward the Rockaways. 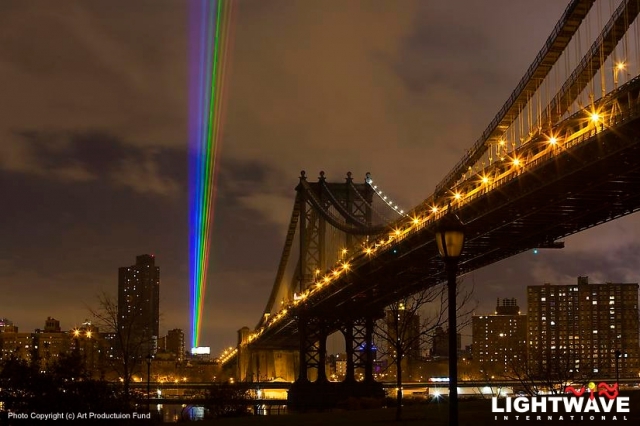 The installation aimed to symbolize hope and act as a call to action to support the communities that were devastated by the storm. 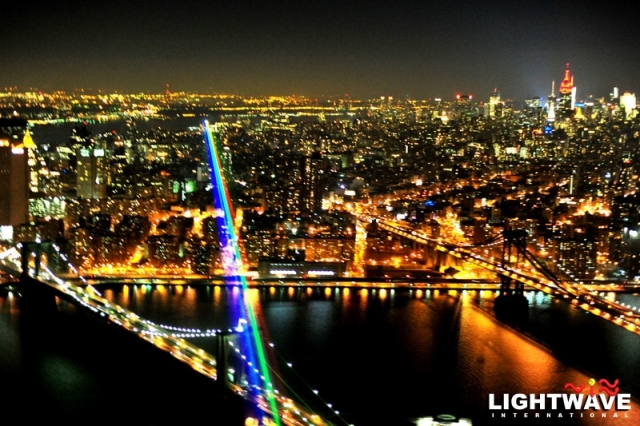 The skies of New York City were lit up November 27th through November 29th in 2012 with vibrant shafts of laser light viewable to millions of New Yorkers. 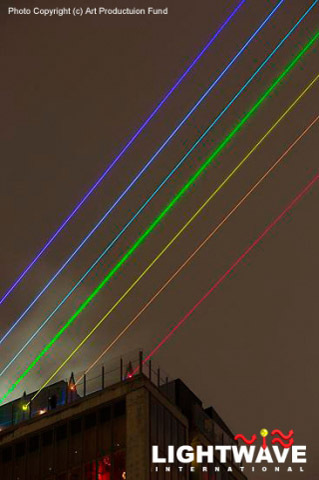 Artist Yvette Mattern brought her “Global Rainbow, After the Storm” work to the city, powered by lasers from Lightwave International. 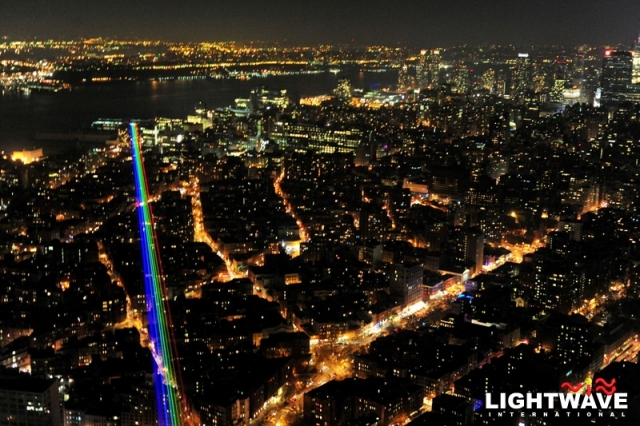 Organized in response to Hurricane Sandy, seven beams of high power laser light were projected over communities hit hard by the storm, originating on Manhattan’s lower west side and spanning across Brooklyn toward the Rockaways. 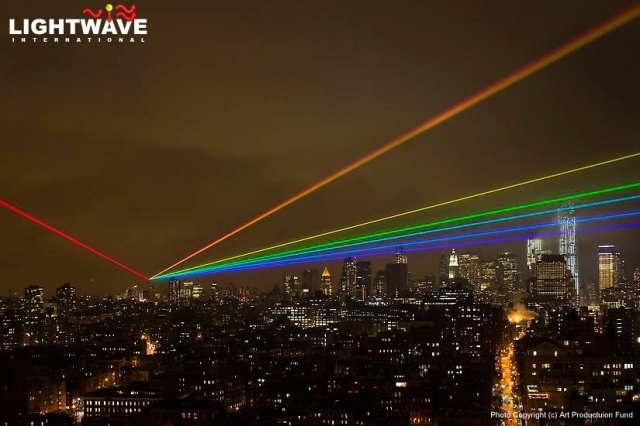 The installation aimed to symbolize hope and act as a call to action to support the communities that were devastated by the storm. 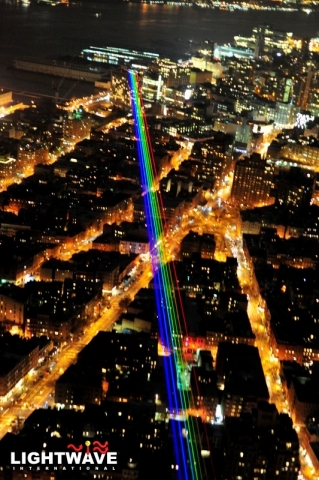 “Global Rainbow, After the Storm” illuminated the night sky and was visible for up to 35 miles depending on atmospheric conditions. 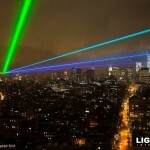 Despite its significant range, the lasers used a minimal amount of power, approximately 24 amps or the equivalent of two hairdryers. 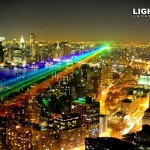 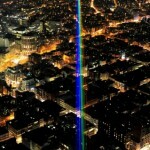 Global Rainbow has been presented throughout Europe and launched the London 2012 Cultural Olympiad in England and Northern Ireland to rave reviews and massive audiences. 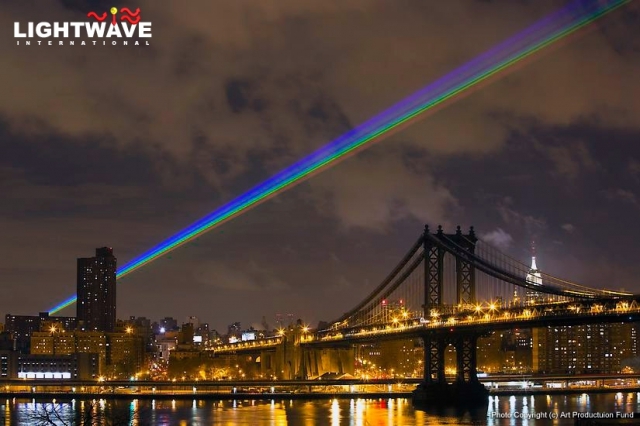 The presentation incorporated a fundraising initiative, encouraging financial support for two organizations that are providing relief for victims of Hurricane Sandy. 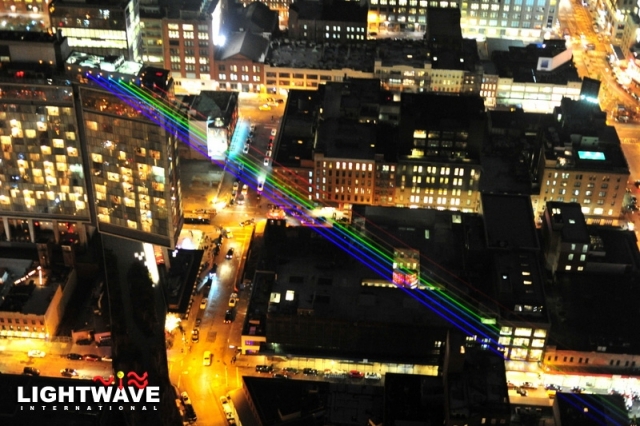 The first, Waves for Water, is a non-profit that has been working tirelessly with the coastal communities and other relief organizations in Staten Island, New Jersey, Rockaway Beach and Long Beach to bring much needed on-site support to victims. 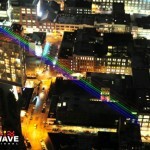 Direct donations can be made at: www.wavesforwater.org. 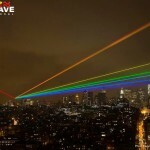 The second organization, New York Foundation for the Arts, has administered the Emergency Relief Fund, a major relief effort to assist artists suffering damage and loss in the aftermath of Hurricane Sandy. 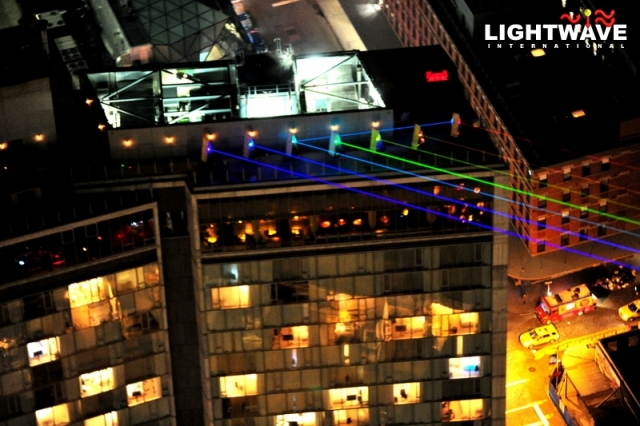 It is supported by the Andy Warhol Foundation for the Visual Arts, the Robert Rauschenberg Foundation and the Lambent Foundation (a project of the Tides Center). 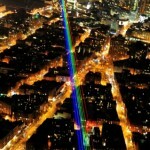 Direct donations can be made at: www.nyfa.org/donation.asp. 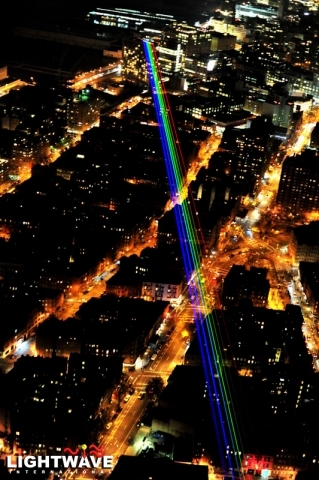 Yvette Mattern is a visual artist who lives between New York and Berlin. 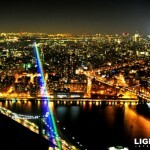 She holds a Master of Fine Arts degree from Columbia University’s Film Division. 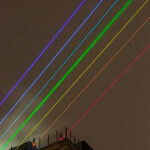 Mattern works mainly with video and film, which she fuses with elements of performance, public, art and sculpture. 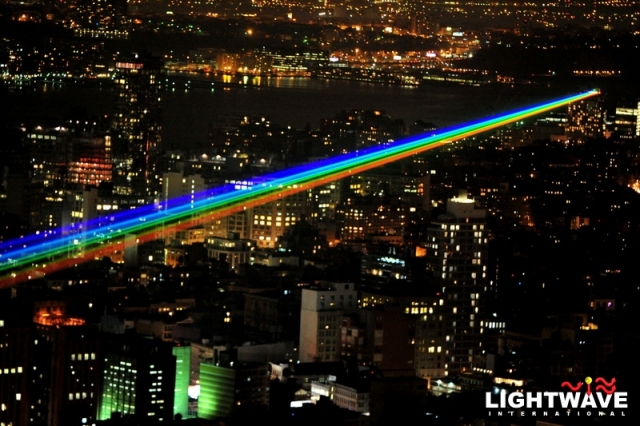 Mattern’s video “Last Day of Magic” was included at the 53rd Venice Biennale Official Satellite Program in 2009, and her work has also been exhibited at the Stenersen Museum, Oslo, Norway; Künstlerhaus Büchsenhausen, Innsbruck, Austria; and Freies Museum, Berlin.